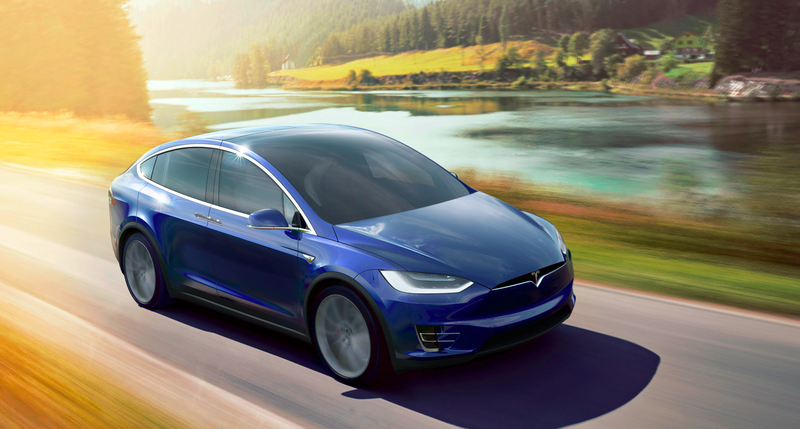 Why Would Ford Spend $200,000 On An Early-Build Tesla Model X? Yesterday, we told you Ford said it had no immediate plans to get in on the high-range electric vehicle game, but now Bloomberg reports that the Blue Oval spent 200 large to obtain one of the first Model Xs off the line so they could conduct research. What’s going on at Ford? The limited-edition car, one of less than 100 made, was originally purchased by Wayne Skiles, a coin dealer in California who participated in Tesla’s referral program. That program made any customer who convinced ten friends to buy a Model S eligible to pick up a Founder’s Edition Model X. So that’s what Skiles did, immediately flipping the Model X for a profit. Eventually, the car wound up in Michigan and later in the hands of FoMoCo. So why did Ford need to get their hands on Palo Alto’s electric minivan? And why did they need it so quickly that they were willing to spend over $50,000 over sticker price? Ford Motor Co. has no immediate plans to chase General Motors, Nissan and Tesla in the electric car range race. Kevin Layden, Ford’s director of electrification programs and engineering, said the 100-mile range coming this fall in the 2017 Focus Electric — up from the 2016 model’s 76 miles — is enough distance to cover the daily commute of most drivers. So if Ford’s not building an EV to compete with the X, why exactly are they benchmarking? What are they looking for? Perhaps Ford’s benchmarking Tesla’s clever packaging. That seems a bit odd, though, as the Model X has significantly different packaging restraints than a gasoline-powered vehicle, so unless Ford is designing an EV, using a Model X for packaging research doesn’t seem to make the most sense. Or perhaps Ford is looking at aerodynamics. Sure, electric vehicles have much lower cooling demands than combustion engine-powered vehicles, meaning they’re are able to have significantly lower drag characteristics. But still, Tesla is know for designing the slipperiest cars in the industry, and some of the aerodynamic enablers found on the X could be emulated on a gasoline vehicle. So who knows what Ford is up to. If I had to guess, I’d say they’re looking at the car’s aerodynamic features, and perhaps looking to do some early work on autonomy to build their knowledge-bank, but I’m not sure. For all we know, maybe they really are going to build a long-range EV in the near future. Only time will tell.